William Dever’s Beyond the Texts is a wonderful book. You need to read it if you are going to pursue a real, verifiable history of Israel, whether as a layperson or a historian. A catchier title might have been Beneath the Texts, but either way the point of the title is noteworthy, and the rest of the title is most significant of all: An Archaeological Portrait of Ancient Israel and Judah. This review will contain praise at the beginning and challenges at the end. Dever says, “This book is intended primarily as a handbook for Biblical scholars, historians of the ancient Near East, and nonspecialists interested in the Biblical world.” Dever is justly critical of our field’s published histories for often merely restating the Bible’s own stories in current idiom to make them sound more sophisticated and “historical.” His view by the end of the book is: Archaeology is “better than any more paraphrases of the Hebrew Bible.” He’s got that right. So here is a history through archaeology’s lens. For that, there’s no one better than William Dever. His marshaling of data is thorough and impressive: site by site, pot by pot, age by age, stratum by stratum, 750 pages, more than 130 charts and illustrations, and 700 references in the bibliography. He knows the sites, and he knows the big picture. He knows the periods, and he knows the longue durée. He engages in serious interaction with current anthropology, especially on state formation. Dever makes a solid case, now well known, against his frequent challenger Israel Finkelstein and especially against the writers known as minimalists. In writing for Biblical scholars and historians of the ancient Near East, he invites dialogue. In so many words, he writes, “I have invited dialogue with Biblicists, who can correct me where necessary.” That is honorable, and that is the door that I mean to open here. On merging archaeological and source-critical Biblical scholarship, he writes that “archaeology at this point can and does provide an additional tool for source criticism of the Hebrew Bible, although that fact and its potential is only beginning to be recognized.” So as this is my subject area, and as he and I have long agreed on this necessity for engagement between our two fields, I am addressing this point here. Two things come immediately to mind. The first comes from the years when I was with the superb archaeologist Yigal Shiloh, of blessed memory, in the City of David excavations of Biblical Jerusalem. Yigal had an idea for collaboration on a book in which I would write, in each chapter, about how we would picture Jerusalem in each period if our only source were the Bible, and then he would write about that picture once we added archaeology. We lost Yigal, and the book never got written. But that idea was on the road to what Dever has in mind. The second thing that comes to mind was a joint program I did with Dever in 1994. I spoke on “A Biblical Scholar Looks at Archaeology,” and Dever spoke on “An Archaeologist looks at the Bible.” Each from the perspective of his own area, we both ended up at the same conclusion: the need for collaboration between our fields. And now a third example comes to mind: the University of California, San Diego, conference on the Exodus held in 2013. The list of participants (45 of them) included Dever, me, and an array of archaeologists, Biblical scholars, and experts from related fields. I can testify that I am one of the lucky beneficiaries of that gathering as it tremendously enriched my own book that followed it—not least owing to Dever’s own contribution there, which I gladly acknowledge here. 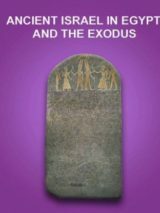 To these cases we might add some of the recent books on David and on the Exodus that draw on text and archaeology in meaningful union. So where are the challenges to Dever’s fine book? I think that this able man whom I admire underestimated how valuable the Biblical scholars’ half of that partnership can be. He’s right when he criticizes past generations of Biblical historians. History-writing as paraphrasing is over. But I challenge his stance that archaeological data are “our primary source” while the text is of “secondary” value—a clear back seat. Dever anticipates a criticism that he has ignored or depreciated the Hebrew Bible as a source for writing a history of ancient Israel. And he begins his answer by acknowledging that he has indeed ignored the Pentateuch because it deals only with the prehistory of Israel. That is a missed opportunity. When we do research on Genesis or Exodus, we are not just questioning whether Aaron’s staff became a serpent, whether he made a golden calf, or whether God first revealed His name to Moses. We examine those texts and find out what they reveal about the actual history of the world of the writers who produced them. I place in evidence works by Baruch Halpern, Ronald Hendel, myself, and others. Dever may disagree about what this kind of historical work can offer, but he should cover it. Moving on from the Pentateuch, Dever’s treatment of the Biblical historians contains a cardinal sin of method: not distinguishing between historians and their sources. In the case of the Deuteronomistic history in Deuteronomy through 2 Kings, he does not distinguish between the historian’s writing and that of his sources, which are older. Once he starts down that path, it leads him into errors. He speaks of the Deuteronomistic work as “theocratic history.” But the sources that make up Deuteronomy are more diverse in their purposes than that, sometimes they are more theocratic (as in the Elijah stories) and sometimes far less (as in the Court History of David). This error of historical method is even more hazardous on the Chronicler’s history. Dever says that he has ignored it, for “Chronicles has been regarded as secondary and of relatively little value.” That is going to come as a surprise to Baruch Halpern, Sarah Japhet, Steven McKenzie, H.G.M. Williamson, and others (including me). The Chronicler’s history of the kings of Judah from Solomon to Hezekiah comes from a source that was many centuries earlier. 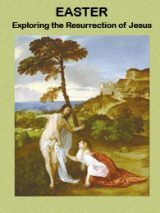 In places, the history of David visibly comes from the same source as the Deuteronomistic history. But don’t get me wrong. Here is where source criticism and archaeology could really work together. So, yes, Dever may have gotten something partly inaccurate here, but it actually proves his point: Working together can fine-tune both of our fields’ efforts. Despite these challenges, I beg readers not to forget the praise at the beginning of this review. This is a marvelous book and an important book. It invites us all to digest it and engage with it. We shall all be richer by doing so. Richard Elliott Friedman is the Ann and Jay Davis Professor of Jewish Studies at the University of Georgia. He is author of The Exodus (2017) and Who Wrote the Bible? (1987).